For example Art Clay silver 650 clay, syringe and paste in size 10g silver have a blue corner and symbol. 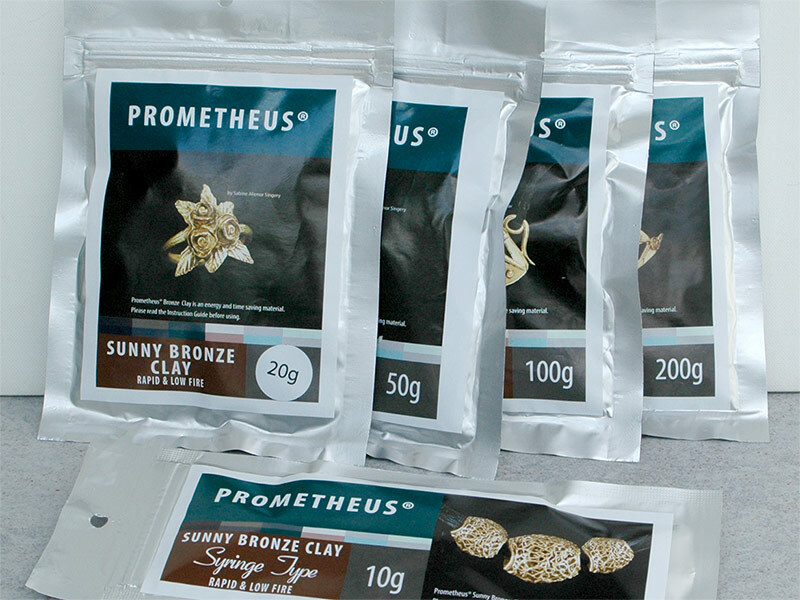 The 20g packs are silver and red and 50g clay will be silver and orange. As you can see on the photo this design is now used for all Art Clay 650 products: Art Clay 650 claytype, Art Clay 650 paste and Art Clay 650 syringe. The former packaging in dark blue are discontinued. Time of transition is nearly over in our Akisashop, too. In a few days we will be ready to ship only Art Clay Silver 650 with the new packaging. The product Art Clay Silver 650 itself was not changed this time and has the good quality you are used to with Art Clay Silverclays.